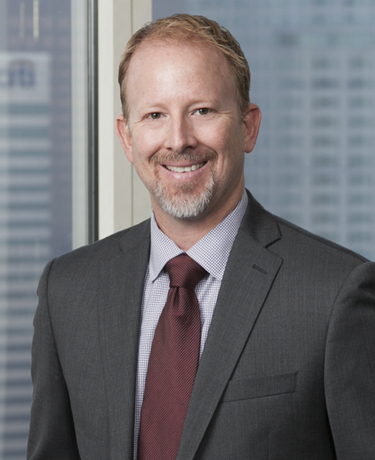 An experienced litigator and Shareholder in Klinedinst’s Los Angeles office, Robert J. Hatem represents clients in general liability, employment, product and business litigation in both state and federal courts. Mr. Hatem regularly provides advice to his clients, which range from individuals, to non-profits, to large corporations. He focuses on resolving disputes in an efficient and targeted manner, often prior to the commencement of litigation. Should a matter proceed to litigation, Mr. Hatem works in close cooperation with his clients, always focused on aggressively advancing their needs. Mr. Hatem has litigated many cases through verdict, with exceptional results. A few of his most recent trials have involved construction, asbestos, and catastrophic injury claims. As lead counsel, negotiated an attractive settlement mid-trial in a complex multi-party wrongful death asbestos suit. Lead defense counsel in a class action suit alleging violations of the Song-Beverly Credit Card Act of 1971. Plaintiffs sought damages in excess of $700 million. The matter was resolved in the low six-figures. Lead defense counsel in a malpractice action against a prominent Los Angeles law firm. Mr. Hatem successfully argued an anti-SLAPP motion, resulting in the dismissal of all claims and an award of attorney’s fees and costs for his client. Mr. Hatem was retained as counsel, five weeks before trial, to defend claims stemming from plaintiff’s catastrophic injuries at a commercial construction site. Plaintiff demanded over $40 million. Mr. Hatem defended the claim, and secured a verdict representing a small fraction of plaintiff’s lowest demand. Active within the legal and business community, Mr. Hatem has been a member of Vistage International, a chief executive leadership organization, as well as Risk and Insurance Management Society, Inc.
Mr. Hatem received his Juris Doctorate from the University of the Pacific, McGeorge School of Law in 1996. While attending McGeorge, he was honored in the Philip C. Jessup International Moot Court Competition and was awarded Dean’s List Honors. He was a member of the Phi Delta Phi legal fraternity, and interned at Region 21 of the National Labor Relations Board. Mr. Hatem obtained his Bachelor of Arts degree from San Diego State University, graduating in 1993 with Dean’s List Honors. During college, he interned with the San Diego District Attorney’s office.